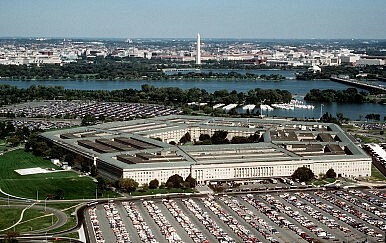 On Monday, February 2, the Department of Defense will propose a $585 billion budget for the fiscal year 2016, according to a source speaking with Defense News and draft budget documents obtained by Politico. The proposal consists of $534 billion in the base budget and $51 billion in overseas contingency operations (OCO) – the war budget for Afghanistan and other counter-terrorism operations. The budget will, as in the years before, try to save money by cutting benefits (healthcare, housing, commissaries etc.). However, Pentagon press spokesperson, Commander Bill Urban, cautioned that the draft budget can still “change an awful lot.” If approved, the FY 2016 budget will top the FY 2015 budget of $554 billion by $31 billion. This includes a $38 billion increase from the current year’s defense budget, since the war funding budget (OCO) will go down from $64 billion in the fiscal 2015 request to $51 billion for 2016. In detail, this means $42 billion for the war in Afghanistan, $5.3 billion for the fight against the terror group ISIS in Iraq and Syria, $2.1 billion for the counter-terrorism partnership fund, and $789 million for the European Reassurance Initiative – on top of the 1$ billion requested for the initiative by the Obama White House in June 2014. While the war funding budget is not subject to sequestration – automatic spending cuts across the board in order to reduce federal expenditure- the base budget of $534 billion is. This puts it at odds with the mandated federal cap set at $499 billion for fiscal year 2016, an amount which was set in law back in 2011 with the Budget Control Act (BCA). However, a congressional budget deal, similar to the one negotiated in 2014, can provide some relief from the cuts in 2016. Yet, this will certainly trigger a fierce debate on defense spending priorities. Defense News also notes that the OCO budget will in all likelihood run into opposition in Congress, since defense planners have, in the past, moved items from the base budget into the supplemental account. In detail, the U.S. Navy is requesting $ 161 billion ($ 11.8 million over 2015), the U.S. Air Force 152.9 billion ($ 16 billion over 2015), and the U.S. Army $ 126.5 billion ($ 7 billion over 2015). Some of the procurement highlights outlined in the budget include three new Littoral Combat Ships, two Virginia-class attack submarines, and 57 F-35 fighters jets. The document obtained by Politico also notes the budget requests for the refueling of the USS George Washington aircraft carrier, $1.2 billion for the development of the new long-range bomber, along with money for cyber defense. Troops levels will remain relatively steady with a reduction of 15,000 to 475,000 soldiers in the active army, an increase in air force personnel by 4000 to 317,000 , and a boost of 5,600 to 329,200 in the navy. The marine corps will maintain its strength of 184,000 for fiscal year 2016. The United States spends more on defense than the countries with the next 10 highest budgets combined.